Traditionally, network Service Providers specify Service Level Agreements (SLAs) to guarantee service availability and performance to their customers. However, these SLAs are rather static and span a single provider domain. Thus, they are not applicable to a multi–domain environment. In this paper, the authors present a framework for automatic creation and management of SLAs in a multi-domain environment. The framework is based on Service Oriented Computing (SOC) and contains a collection of web service calls and modules that allow for the automatic creation, configuration, and delivery of an end-to-end SLA, created from the merging of the per-domain SLAs. This paper also presents a monitoring procedure to monitor the QoS guarantees stipulated in the SLA. The SLA establishment and monitoring procedures are tested through a Grid application scenario targeted to perform remote control and monitoring of instrument elements distributed across the Grid. A Service Level Agreement (SLA) is a contract between a network provider and a customer defining all aspects of the offered services. It may specify the levels of availability, serviceability, performance and operation conditions (Bouras, Campanella, & Sevasti, 2002; Goderis, 1979). It may also define the procedures and the reports that must be provided to track and ensure compliance with the SLA or describe other attributes of the service, such as billing (Zhang, Tan, & Dey, 2009) and penalties in case of SLA violations (Gulliver, 1979). Service Level Agreements with the network providers enable users to use services for their applications in a more effective and reliable way (Clark, Gilmore, & Tribastone, 2009). The benefit of using an SLA for an application is that a contract can be provided to the application users for the level of Quality of Service (QoS) that they have requested and the procedures that will be followed in order to enforce this level of QoS. An SLA can also provide a means of describing the network domains’ level of QoS in a unified way, irrespective of the type of technologies that are used to provide QoS across the network. 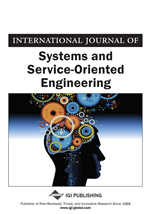 In Grid environments (Foster & Kesselman, 1998; Opitz et al., 2008) where applications or users require resources from heterogeneous domains offering various performance guarantees, the issue of acquiring a specified level of QoS is of great importance. The lack of control in traditional IP networks created the need for efficient QoS provisioning mechanisms. Among the dominant ones is the DiffServ framework (Nichols & Carpenter, 2000; Young-Tak, 2005; Dong-Jin & Young-Tak, 2003) where marking and policing of flows is implemented at the edge routers according to per–domain SLAs (Courcoubetis & Siris, 1999). This way a variety of advanced network end–to–end (e2e) services is offered across multiple, separately administrated domains (Van der Mei & Meeuwissen, 2006). Based on the DiffServ architecture, the Premium IP (PIP) service was implemented in National Research & Education Networks (NRENs). Using priorities, traffic can be classified as high priority PIP, Best Effort (BE) for standard IP applications and Less than Best Effort (LBE) for non–time critical bulk data transfer. The PIP service provides a virtual leased line service as PIP data packets are not expected to experience congestion in the network regardless of the load of the other traffic classes. PIP is suitable for real–time applications, such as Voice over IP (VoIP), IPTV, video conferencing as well as time critical applications such as remote control of instruments and devices (Andreeva et al., 2008). In this paper we present a framework based on SOC (Dustdar & Kramer, 2008) that supports the provisioning of advanced e2e IP network services via the dynamic management of SLAs, in a real multi-domain environment that crosses the NRENs. The framework uses Web Service (WS) calls to allow for the automatic creation, configuration and delivery of an e2e SLA created by merging the SLAs provided by each domain. In this way a business-centric architectural approach is achieved that integrates all the SLA functions together between the different domains. We also present a monitoring procedure to monitor the QoS guarantees stipulated in the SLA. Our framework has been developed for the needs of the EGEE project (Enabling Grids for E-sciencE http://www.geant2.net/server/show/nav.00d008009002) to offer automatic e2e SLAs for network path reservations.